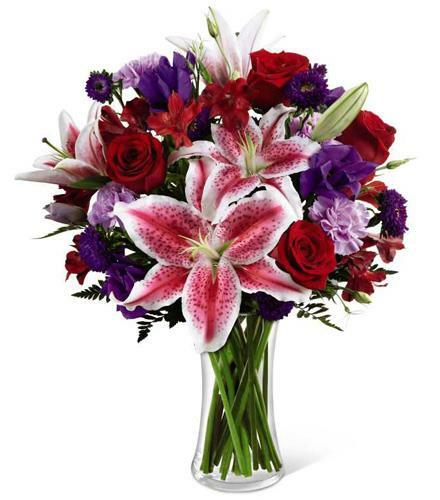 Open star gazer lily not always available for quick delivery. 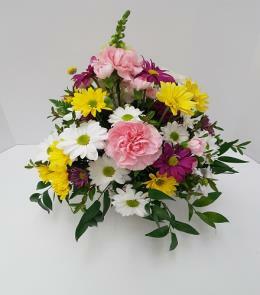 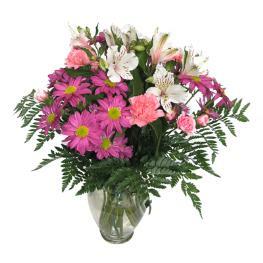 This elegant vased arrangement will catch their eye with its array of red roses, pink lilies, irises, asters and more.. 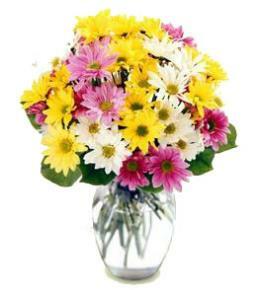 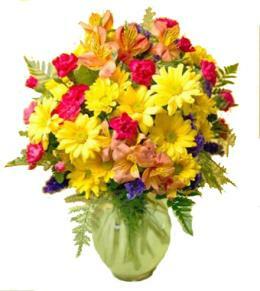 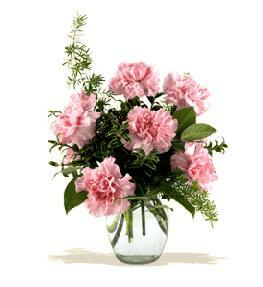 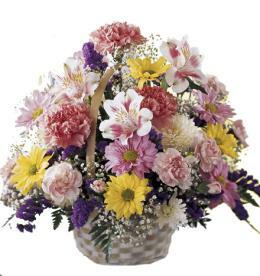 Featured Floral Selection - Stunning Beauty Vase Bouquet B06.